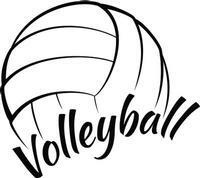 Practices will be Monday, Tuesday and Thursday afternoons in the gym from 3:45 to 5:00 pm. Students are welcome to participate in both volleyball and cross country even though the practice times overlap. Friday, October 6th at 4:30 -- WCS vs. Crawford Road Christian (AWAY--Play at Cornerstone Church of God) *Meet at Cornerstne due to Early Release at school. Are you interested in joining the WCS Volleyball Team? If you enjoy volleyball during the school year, consider signing up for our summer camp.